If there’s one lunchtime food you can always count on, it’s the sandwich. When you need to make lunch in 5 minutes flat, it’s there for you. When you need to eat lunch on the go, it’s there for you. 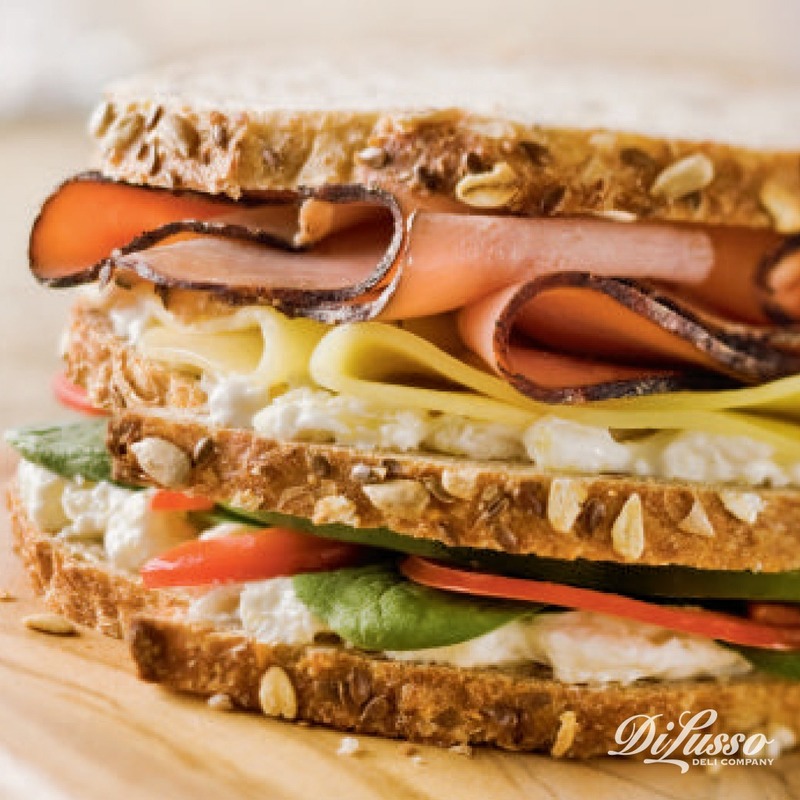 But sandwiches can easily transcend reliability and add a little zest to your day with the help of a few simple tweaks. Even better, these tweaks take advantage of ingredients and tools that are probably already sitting in your kitchen. It is grilling season, after all. Slide a few leftover grilled vegetables (squash, red onions, tomatoes, etc.) into your sandwich to give it a nice charred undertone. Oven roasted veggies work well, too. 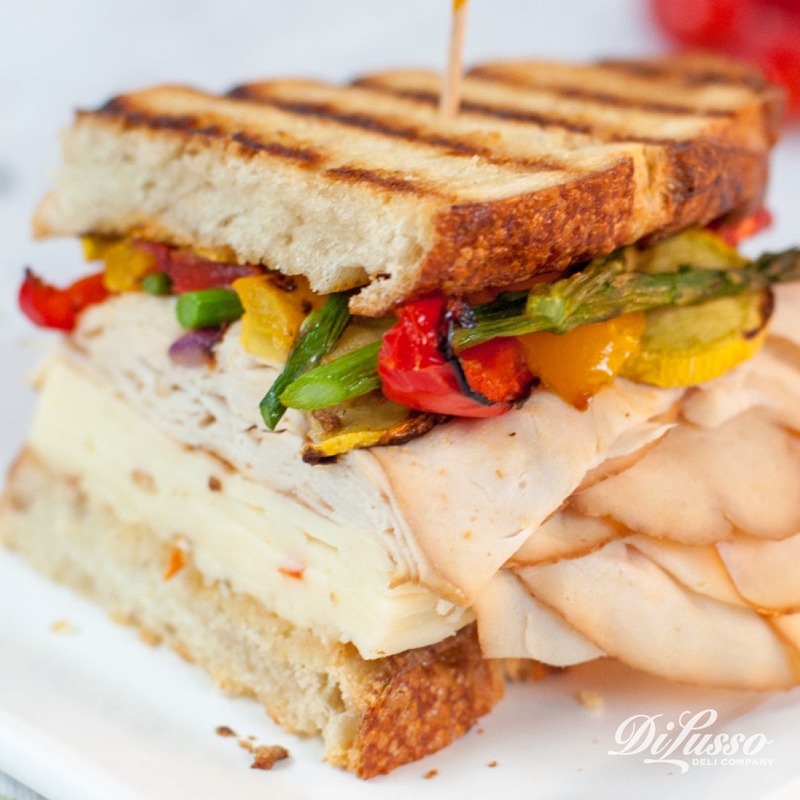 The proof is in this Applewood Smoked Chicken & Roasted Vegetable Panini. To accentuate the smoky flavors even more, we paired grilled veggies with our applewood smoked chicken. We added something on the spicier side (our habanero jack cheese) and something on the savory side (our sun dried tomato aioli) to introduce contrasting flavors. Sweeten up your sandwich with fresh or dried fruit, whichever you happen to have on hand. Certain fresh fruits, like apples and grapes, will also add a nice crispness. To balance out the sweetness of the fruit, place it on sandwiches that are full of savory flavors. 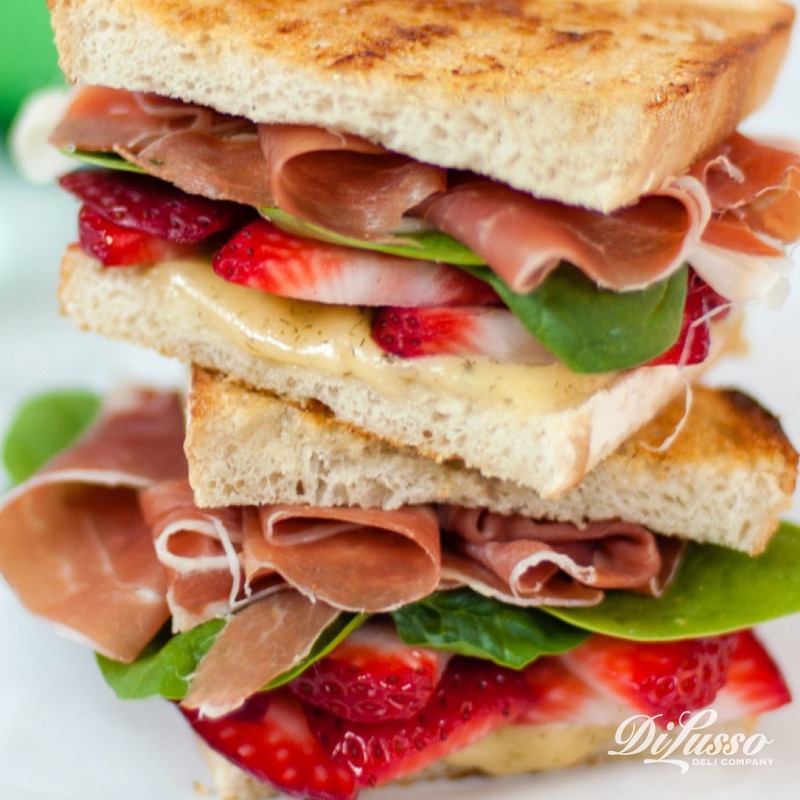 Stacked with our rich, creamy Havarti herb cheese and thinly sliced prosciutto, this Prosciutto Strawberry Grilled Cheese is a great example. Put it on a pita. Raise the crunch factor with a crusty ciabatta. Add another layer of flavor with herb infused focaccia. 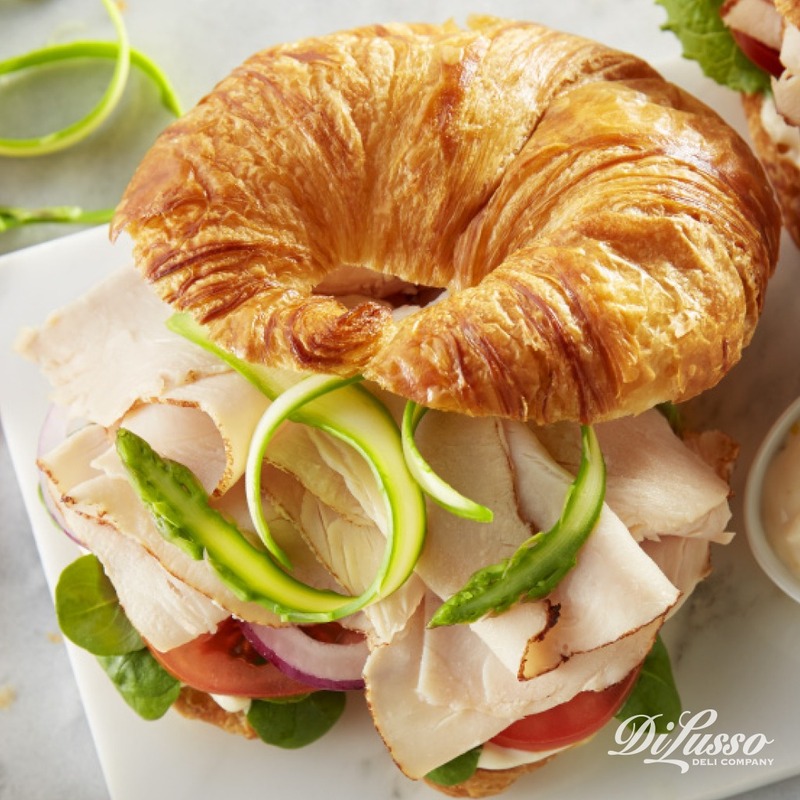 Or make a nod to breakfast by using a buttery, flaky croissant like we did in this Turkey and Lemon Aioli Sandwich. 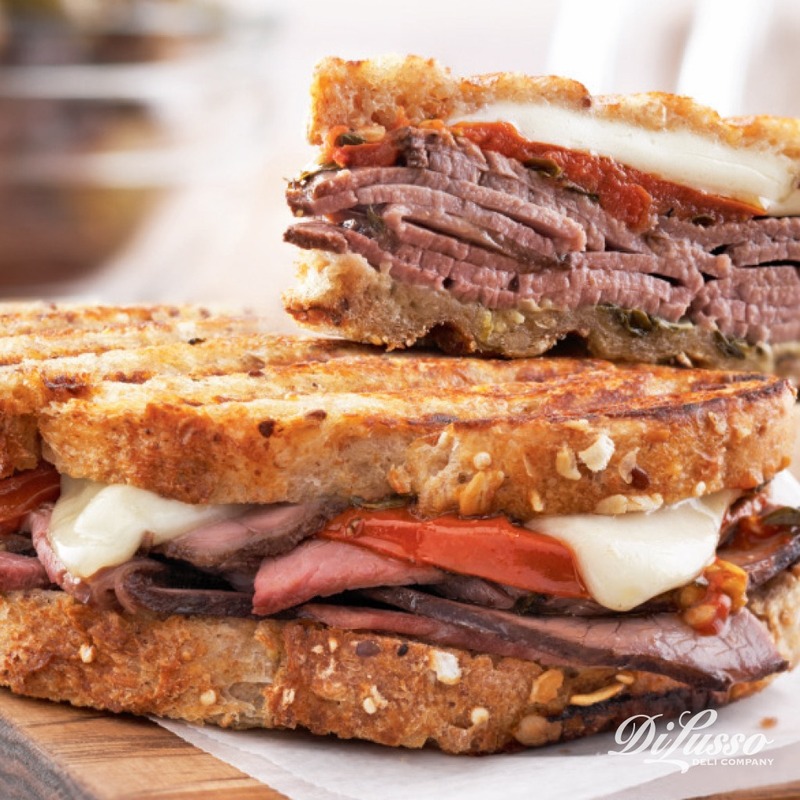 Add a little heat and texture by broiling your sandwich in the oven. Slide a few slices of bread in your toaster and create a BLT-esque masterpiece. Press it in a panini and stack it to make this Tower Turkey Panini or Panini Milano. Regardless of the method, you’ll end up with a sandwich that’s perfectly crisped on the outside and full of flavor on the inside. It’s amazing how a swipe of mustard or dollop of aioli can completely transform a sandwich. Make it spicy with harissa or our horseradish dijon aioli. Add some sweetness with your favorite jelly or jam. A dollop of homemade sweet pineapple spread is the crowning glory of this Savory Ham and Swiss Sandwich. If you have some time and feel like getting creative, you might try making your own spread. We have some idea-starters for you here. A little bit of texture can go a long way when it comes to sandwich satisfaction. Try adding a few baked cheese crisps. Nuts, chips and crisp veggies (think along the lines of cucumber, celery and onions) are also great options. We went the classic route and added crunchy corn chips to this Turkey Tortilla Crunch Wrap. You could even try mixing and matching a few of these ideas to create something that satisfies your unique appetite. If you want a little more sandwich-spiration before getting started, check out these ideas. For tips on how to stack your ingredients for the ultimate sandwich-eating experience, take a peek at this blog. Happy sandwiching!